I’ve been safely traveling with yerba mate for almost a decade and I’ve never had any serious problems carrying yerba mate either directly on the plane in my carry-on luggage or my stowed-away (checked-in) luggage beneath the plane. So, rest assured, since yerba mate is a legal herb, you can safely travel without problems getting through airport security and customs. Below, I’ll describe some exceptions and offer some tips on how to make sure you always clear your precious yerba mate through customs and airport security while traveling. Did you know that I started selling yerba mate gourds on Circle of Drink with 60 gourds I brought back to New York in my suitcase in 2012? I neatly lined the gourds in a few rows, sandwiched between shirts and sweaters for padding. While going through New York Customs, this was the only time I’ve ever been questioned about traveling with gourds and yerba mate. The Agents simply wanted to know what the gourds were and why I had so many of them. “They’re yerba mate cups to drink tea from and I plan to share them with family and friends.” “Ok, you can go now,” she quickly responded. And there I went, happily proceeding to my pickup gate with 60 gourds in tow and at least 15 pounds of mate (in original 500g packs). Then there was a small exception when cutting through Italian or Mexican Customs — an Agent, seeing my loose-leaf yerba packaged in a ziplock bag asked what it was. As usual, I simply responded with the truth: “It’s tea from Argentina… like green tea.” And right on cue, I was told to carry on. You see, it’s perfectly legal and easy to travel with yerba mate. Remain cognizant of the local laws and prohibitions of the country you’re traveling to and from; make any required declarations (though, I’ve never declared mate as I never seen a reason to); and tell the truth when asked “what’s that green stuff?” The easiest answer is: “it’s green tea from Argentina.” That’s my good luck answer that never fails. A smile or two doesn’t hurt, either. 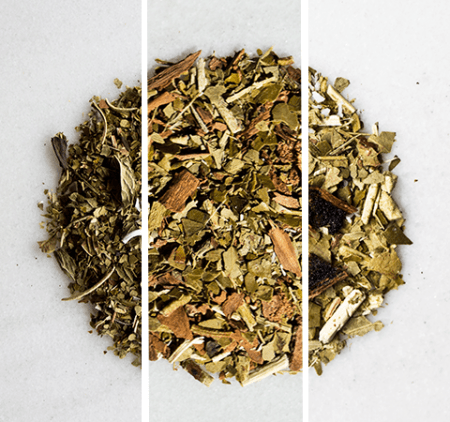 If you’re asked to formally declare yerba mate, you may classify it as either “Botanical Herb” , “Paraguayan Tea” or “Mate Tea.” These terms are recognized by the FDA — the federal agency responsible for all food safety within, existing and entering the United States and many other countries. Getting more technical: every food that’s allowed to enter the United States has an associated “harmonization code.” This code corresponds to a federal database of recognized foods that are imported and exported. 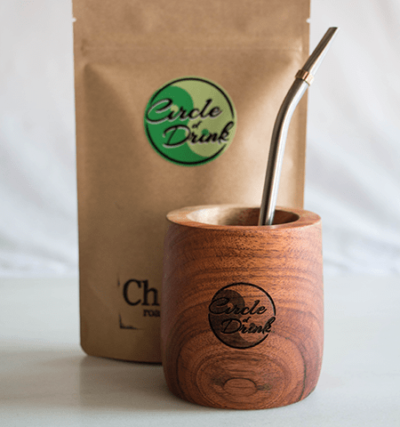 The yerba mate harmonization code is: 0903.00.00 and it’s classified as “duty fee,” meaning that you are not legally responsible for paying any import or export taxes for yerba mate. How lucky we are, right!? Though, if you’re receiving a package of yerba mate from another country, the person or company sending the goods may have to pay a fee, such as an IVA or VAT tax or other associated export fees. Leaving your mate in the original packaging is the safest way to travel. The packaging acts as a self-explanatory sign that clearly states what the product is, where it’s from, and what it’s used for. 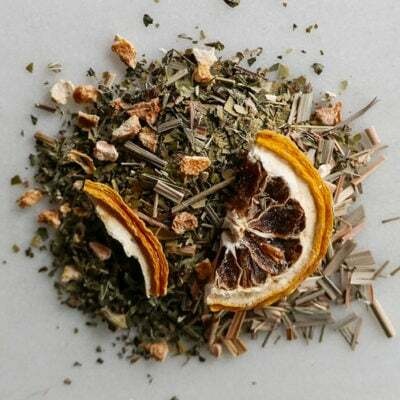 Yerba Mate Tea. From South America. A drink like green tea. Period. Customs Agents love to see clear and easy-to-understand language that explains a product. It saves them the trouble from investigating further or sampling your product for laboratory testing. Perhaps you’ve repacked the mate in a bag. That’s fine, too. However, without your permission, if the yerba mate was packed in your checked-in luggage, the Agents may take a small sample from your bag (you’ll notice a clean slick or small hole in the package). This has happened to me many times. If it happens to you, don’t be alarmed. It’s quite fine. 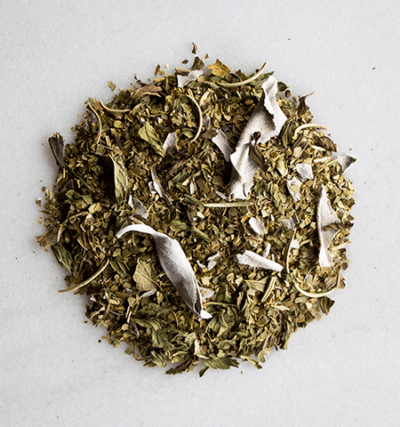 Remember, yerba mate is a legal botanical herb (not a controlled substance), so there is nothing to worry about. You haven’t broken any laws whatsoever. Sip easy, Matero! Traveling with Large Amounts of Yerba Mate? I’ve packed nearly entire suitcases of mate at times and had no issues. If you do something like this, it comes down to your attitude and how you comport yourself when and if questioned about the yerba mate. Be confident and clearly state that this is tea you consume. Showing any fear or expressing anxiety will almost certainly warrant further investigation. In most cases, you’re not like me, and won’t travel with more than, say, 5–10kgs (10–20 pounds) of mate, so this won’t apply. But here’s an real example of how I recently travelled with a significant amount of mate. I wrapped several boxes of mate in what is known as ‘pallet’ or ‘packaging’ wrap. It’s, effectively, strong saran wrap for travel; then I constructed a makeshift handle and checked the entire bag in as a single piece of luggage. I had no issue and successfully traveled with around 20 pounds of yerba mate this way. A “safer” way would have been to split the mate into a few bags of luggages, interspersed with clothing. But, again, have no fear. We have nothing to hide. The worst that can happen when traveling with a significant amount of mate is that you’re asked to pay a commercial duty fee, if the Agent believes that you intend to sell the product. But yerba mate is a duty free herb, so have harmonization code handy: 0903.00.00. So there you have it. It’s perfectly safe and legal to travel with yerba mate. You may also travel with yerba mate gourds and bombillas without issues. For the bombillas (metal straws used to drink mate from the gourd), the most practical idea is to pack them in your checked-in luggage, as some of them may resemble knives.